Two days after the debate, a report says the jobless rate dropped to 7.8%, the lowest since 2009. This matches the rate when Obama took office. The number of unemployed in America is now 12.1 million. There are now 325,000 more jobs than when Obama took office. In fact, Democrats do better at putting people to work than Republicans — twice as many per year. In the last eighty years there have been five-major financial crises in the US and they all happened with a Republican president in the White House,” says Bob Deitrick, co-author of Bulls, Bears and the Ballot Box. What about the rich getting richer? Who does a better job at boosting the wealth of the top one percent? Today’s Republican Party may revere Reagan as the patron saint of low taxation. But the party of Reagan – which understood that higher taxes on the rich are sometimes required to cure ruinous deficits – is dead and gone. Instead, the modern GOP has undergone a radical transformation, reorganizing itself around a grotesque proposition: that the wealthy should grow wealthier still, whatever the consequences for the rest of us. Modern-day Republicans have become, quite simply, the Party of the One Percent – the Party of the Rich. I watched about fifteen minutes of the first debate then turned it off. I didn’t want to waste any more of my time. I had better things to do. 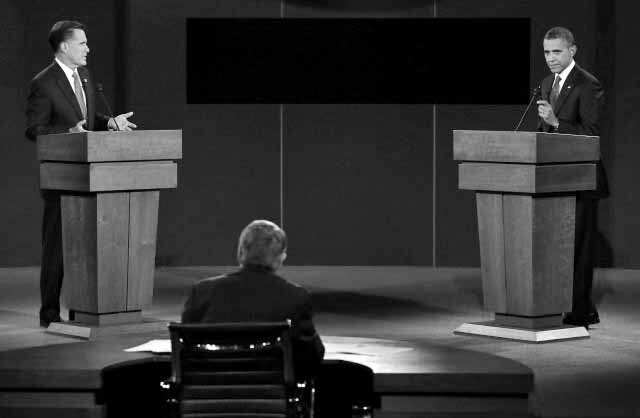 Instead, I waited for the fact checkers and the analysts to examine the claims made by Obama and Romney during the debate. The morning after the debate, I learned that the perception was that Obama lost the first debate by a WIDE margin. 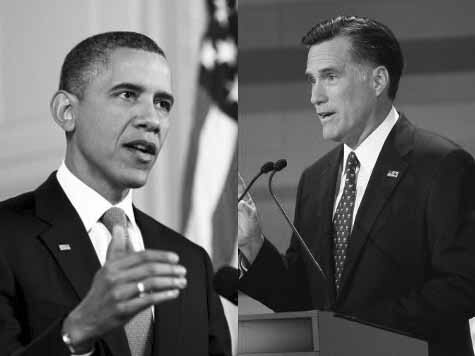 Further reading revealed that President Obama lost because he wasn’t as aggressive as Romney or should I say he only exaggerated and made half as many false claims as Romney did and many of Romney’s exaggerations were WHOPPERS. For example: inflating the unemployment numbers from 12.5 million to 23 million compared to Obama inflating the number of jobs created to 5 million from the actual number of 4.63 million. There is a HUGE difference between 370,000 jobs and 10.5 million unemployed people that did not exist. Fact check.org said, “Romney came off as a serial exaggerator”. I read the report from Fact Check.org and counted the exaggerations and false claims made by each of the White House contenders and discovered that Romney exaggerated twice as much as Obama and that Romney’s false claims made Obama look terrible, then President Obama stumbled defending himself against Romney’s false claims magnifying the perceptions of Americans watching the debates. In fact, the exaggerations and false claims (a LIE is a LIE no matter the term used to soften its impact) were so huge it is obvious that President Obama was not ready to deal with them. If the majority of Americans that vote want the BIGGER liar to be its next President, the United States deserves who moves into the White House but beware the devil you do not know. As an example, instead of regurgitating what Fact Check.org has already reported, I will point to one of Romney’s lies. Romney claimed that Obama was responsible for an annual trillion dollar deficit without revealing the facts behind that claim (why would he?—the truth would sink his chance to move into the White House). Romney said that the deficit doubled under Obama. Not true. Obama inherited a $1.2 billion deficit and the deficits have remained (due to budget items mostly beyond any President’s control) at or above that level every year since because you cannot “get blood out of a rock” (my words). In one piece that I read this morning, it was mentioned that the Iraq (2003 – 2011) and Afghan (2001 -) wars have been and are still being funded by borrowed money. A point missed by everyone, it seems, was that no one made the connection that this borrowed money adds to the annual deficit and grows the interest on the annual deficit that adds to the national debt. Cost of War.com says, “Total War Funding: $1.38 trillion has been allocated to date to fund the wars in Iraq and Afghanistan, including $121.1 billion in fiscal year 2012 (for a total of $1.5 Trillion—all borrowed adding to the national debt and the interest on that debt). Let’s see what the interest is on debt that President Obama inherited and discover where the national debt comes from. The National debt is currently $16 trillion and in 2012 the interest on that debt will be almost $360 billion. No matter how Romney or the GOP spins the facts, President Obama is not responsible for most of that national debt or its continued growth. In fact, he inherited $13.76 Trillion (86%) of the national debt, and the interest that comes with that number. for 2012, the interest on each trillion dollars is $22.5 billion. Do the math and you may discover that $309 billion of the interest on the national debt in 2012 comes from what President Obama inherited. In Obama’s first term (2009 – 2013), that adds up to $1.235 Trillion just in inherited interest. To discover where all of the national debt came from by president, you may want to look at Table 4: Average annual deficit at Adelphi.edu to learn that the national debt we live with today started with Republican President Herbert Hoover, who left $42.5 billion in national debt when he was voted out of office in 1933. Including President Hoover, GOP presidents are responsible for $8.73 Trillion of today’s national debt and $196.4 billion in interest for 2012, and Democratic presidents $5.02 Trillion in addition to $112.95 billion in interest for 2012. F. D. Roosevelt and President Obama are the only Democratic presidents that added more than one trillion dollars to that debt and both presidents had to deal with war/s and each had an economic crisis that was inherited from GOP presidents. We cannot blame Hoover for the Great Depression. We can only blame him for how he handled the crises, but who did Hoover inherit the Great Depression from? Then in 1933, F. D. Roosevelt (Democrat) was elected President and unemployment started to drop from Hoover’s high of 24.9%, and to achieve both putting people back to work and winning World War II, FDR borrowed $1.4 Trillion adding that sum to the national debt started by Hoover’s failed policies. In fact, by the end of 1941 when World War II started with the bombing of Pearl Harbor (December 7, 1941), unemployment was down to 10%. Franklin D. Roosevelt was President from 1933 – 1945 (he died in office). Compare and contrast unemployment for the early years of the Great Depression with President Obama’s first four years in office. Because there has never been a financial crises equal to the Great Depression until the Great Recession in 2007-2008 inherited from Republican President G. W. Bush, we have nothing else to compare with. Note that President Obama never had double digit unemployment rates. Who did a better job keeping more Americans working during his first four years as President of the United States? This report from Reuters is very misleading as you will discover in this three part series. It all depends on how the reporter spins the numbers. Nonfarm payrolls increased (new jobs) only 96,000 last month, the Labor Department said on Friday, but in August 2012, there were 142,101,000 civilians working in the labor force while 12,544,000 were unemployed (an 8.1% unemployment rate). In addition, seven-million were job losers or persons who completed temporary jobs. Another nine-hundred-and-forty-two thousand were labeled as lob leavers (they quit or retired). What about the people that quit a job or retired and are being replaced—replacing people that quit or retire does not show as an increase in jobs because that job already existed and it isn’t a new job—it is an old job. To make sense of all this, we will travel back in time to 2008. In August 2011, there were 139,869,000 employed Americans working in the civilian labor force compared to 13,747,000 unemployed (an 8.9% unemployment rate). In 2010, the civilian labor force was 139,064,000 and 14,825,000 were unemployed (9.6%). In 2009, 139,877,000 civilians were employed and 14,265,000 were unemployed (9.3%). In 2008, President G. W. Bush’s last full year in office and the year the global financial disaster exploded, 145,362,000 civilians were employed while 8,924,000 were unemployed (5.8%). By the end of 2009, 5.5 million civilian jobs were lost. By the end of 2010, only 813,000 jobs were lost. However, by the end of 2011, 805,000 jobs were added back to the civilian labor force and in one month, August 2012, 96,000 new jobs were created. Even if new job creation stayed at the same rate as August, it means adding 1.15 million new jobs for 2012—another increase for the second year in a row, but 243,000 new jobs were added in January 2012; February saw a job gain of 227,000; March saw 120,000 new jobs; April added 115,000; May 69,000; June 80,000, and July 163,000. ADD IT UP: For the first eight months of 2012, 1.113 million new jobs were added. The fact is that the 2009 budget, the financial disaster and the labor climate in the United States was inherited from President G. W. Bush. President Obama’s first budget was approved by Congress in 2010 and his stimulus package to create jobs still has not been totally implemented (and in some cases Republicans in Congress have blocked some of President Obama’s job stimulus plans). In fact, programs of this size are often phased in over several years. We will not see the results of much of what President Obama started until his second term. If he isn’t elected, any results we see in 2013 will be his—not the GOP presidential candidate.